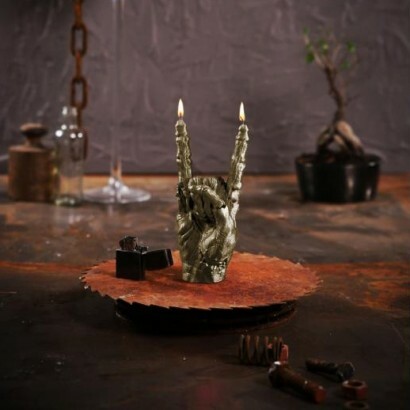 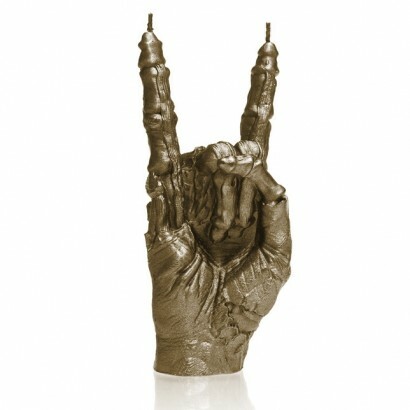 Never has a candle captured the essence of rock n roll quite like this rocking hand candle! 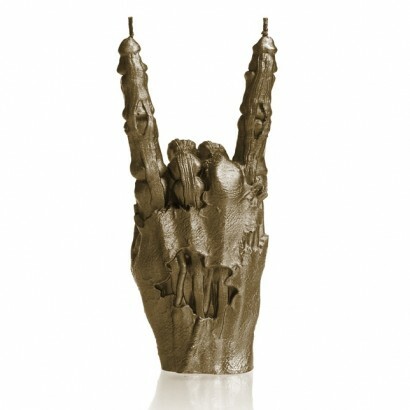 Live fast, die young and hang around as the undead throwing the horns with slowly rotting fingers that reveal the skeleton and sinewy tendons inside! 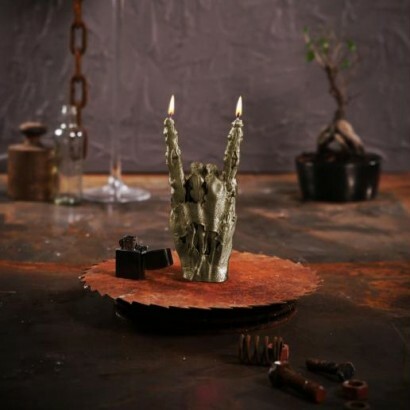 Modeled on a large male (live) human hand, this substantial candle has a 30 hour burn time and each raised finger is wicked for double the burn!